On Sept. 23, 2010, under the Affordable Care Act, a preventive services provision made some private insurance patients eligible for important preventive services – including screening colonoscopies. On Jan. 1, 2011, that provision will be extended to all Medicare patients. Medicare patients who are eligible to have a colonoscopy screening will pay no deductible, co-pay or co-insurance. Private insurers that make changes in their plans will also be required to offer full coverage for screening colonoscopies with no out-of-pocket costs going forward. Patients may still be responsible for other services, such as anesthesia, associated with the procedure. A colonoscopy that is performed in order to explain symptoms is called a diagnostic colonoscopy, which is not covered under the Affordable Care Act. 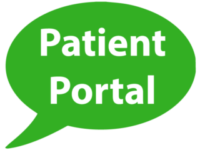 Patients are usually fully liable for all cost related to a scheduled diagnostic colonoscopy. A screening colonoscopy is NOT a colonoscopy that is performed to explain the patient’s symptoms (i.e. blood in stools, changes in bowel movements, etc.). A screening colonoscopy is a procedure performed on a patient of screening age in order to find colon polyps or cancer. 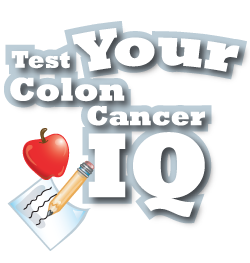 General guidelines recommend that the age for screening colonoscopies begin at 50 for people at average risk, that have no documented history of any kind of personal or family history of colon polyps or colon cancer. There are some cases where a scheduled screening colonoscopy can become a diagnostic colonoscopy, and in those cases a patient becomes responsible for any out-of-pocket costs related to their deductible, co- insurance or co-pays for standard costs like physician and facility fees. A screening colonoscopy becomes a diagnostic colonoscopy when a physician removes a polyp or takes a biopsy during the procedure. Also, even though many physicians recommend patients with a family history of polyps or colon cancer get screened earlier than the recommended age, some private insurance companies consider a family history of colon cancer or colon polyps as a criterion for a diagnostic colonoscopy – NOT a screening colonoscopy. If you are scheduled for a screening colonoscopy, but polyps are discovered and removed through the course of the procedure, you may be subject to out of pocket expenses. Including, but not limited to, the Medicare 20%. A family history of colon cancer or colon polyps (Call provider to determine benefit). Private insurance patients must call providers to determine their benefit. Private insurance patients must call providers to determine potential out-of-pocket costs and circumstances. If you are scheduled for a screening colonoscopy, but polyps are discovered and removed through the course of the procedure, you may be subject to out of pocket expenses. Please contact your insurance provider to determine your possible out of pocket if polyps are removed during a screening colonoscopy.